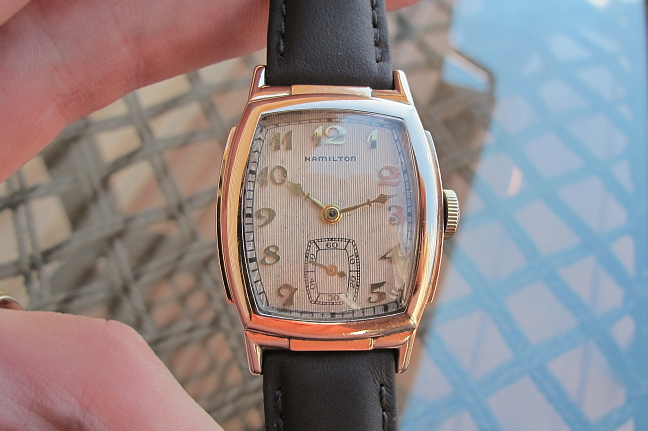 I think some of the best watches that Hamilton made came out in the 1930's and I suspect that I'm not alone in that opinion. Why would that be? Well, for one thing, Hamilton introduced a lot of technological advancements during the 1930s including the Elinvar hairspring which was much less susceptible to magnetism and environmental conditions. In addition, the 14/0 sized 980 and 982 movements were introduced - creating an entirely new model line for the company. Advancements in pocket watch movements also were introduced. Another reason is the watches seemed to have more prominence than either the 1920's or even later in the 1940's and '50s. They were a little bigger and a little bolder - just enough to make them very interesting. Take for example the Lawrence. Introduced in 1936, it was produced for three years. It featured the 6/0 sized 987 movement and you're likely to find a 987E or 987A under the hood. 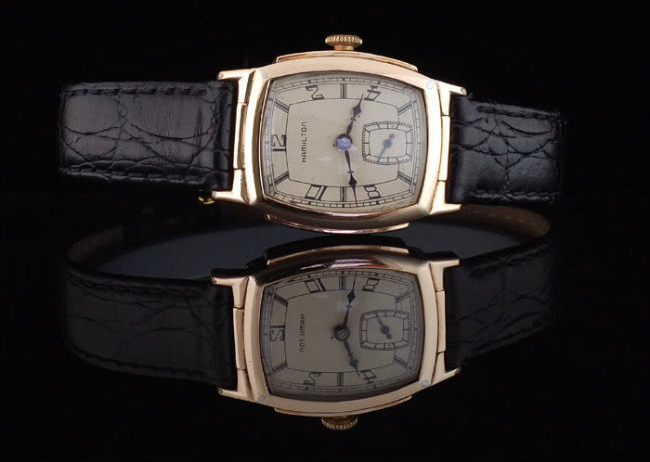 It's one of the larger watches from the period and it came with either an applied gold numeral dial or a black enamel dial. The former is also a textured dial that looks like it has ridges like an old weathered piece of wood. On the wrist it's a sharp looking watch! The black enamel dial is also very cool - and highly desirable - with black "exploding" figures radiating from the center of the dial. I don't have one yet but here'a an excellent example courtesy of fellow Hamilton enthusiast, Tom Diss. My grandfather was a Hamilton sales manager for the Midwest in the 20's-40's. I believe he started at Waltham Watch, which Hamilton purchased. Do you have info on personnel from the era? Hamilton did not purchase Waltham. 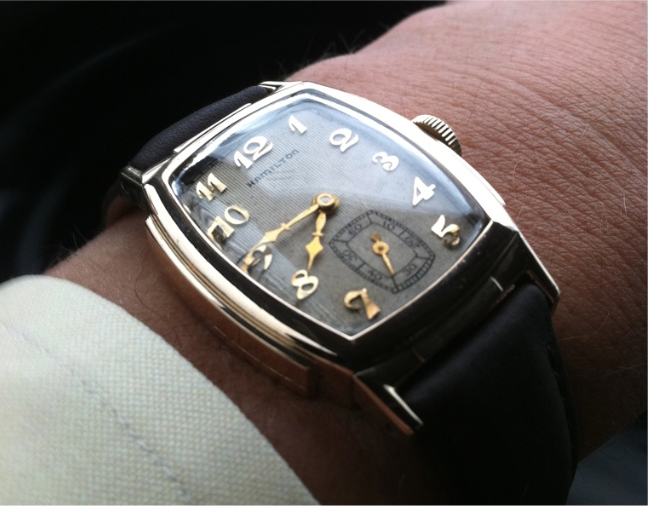 They did acquire Illinois Watch Co in 1928 though. As for personnel records, I have no information to offer.